Last year, a crane in Lower Manhattan collapsed and killed a person. After an investigation into the accident, it was found that the accident occurred because the operator of the crane failed to properly lower the boom and they were found to be responsible. The crane’s operator failed to secure it the night before the crash and caused it to become stable. The next morning, there were extremely high winds, which caused the giant crane to come crashing down. A man walking on the street was killed and three others were injured. Unfortunately, many accidents similar to this happen every year because of recklessness and negligence. What happens if you were injured as a bystander due to negligence at a construction site? If you were a bystander or another non-employee involved in a construction site accident, you may wonder what your options are. Construction companies will typically set up systems of compensation for their employees when they become injured, but what happens if you aren’t an employee? Do you still have legal options? Your accident case will be treated as if you were any other person filing a personal injury suit. You will still bring a lawsuit against the general contractor in charge of the site, their insurance company, and any other responsible parties involved. As a bystander, you must be able to prove that the business or person was acting negligently, that their negligent act caused your injuries, and that you sustained damages. If you are an employee and not a bystander, many more options open up, such as workers’ compensation. If you have been injured due to negligence in the construction workplace, you have options. Call us today for information on how we can help you. 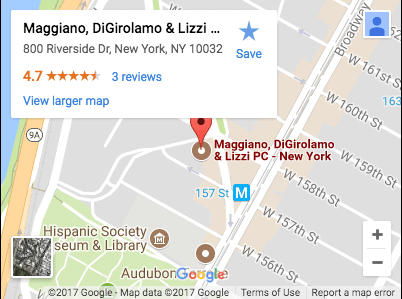 At Maggiano, DiGirolamo & Lizzi, we have the experience needed to handle your construction injury case.